Venetian-Glass.info provides the most comprehensive information about glass manufactured on the island of Murano and on the nearby main island of Venice. Venetian glass has a long, distinguished and interesting history and is undergoing something of a renaissance in the present day. Look through the following sections to see which area - history, foundries, distributors, language, etc - is of most interest to you. And if there is something else you would like to see about Venetian glass on this site, then please get in touch and tell us what you would like to know. 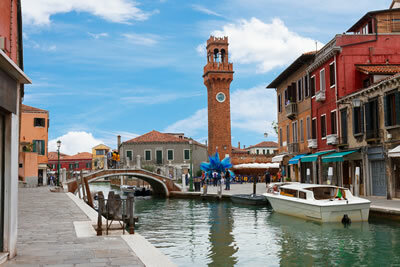 One of the most vital parts of visiting Murano is getting there in the first place! We have a detailed Murano page on the waterbus connections and a simple map of the waterbus stops with churches and the Murano Glass Museum ("Museo Vetrario"). 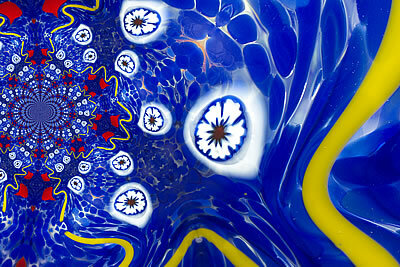 Information about the Glass Museum and Venetian glass-blowing demonstration can be found on our Murano Sights page. 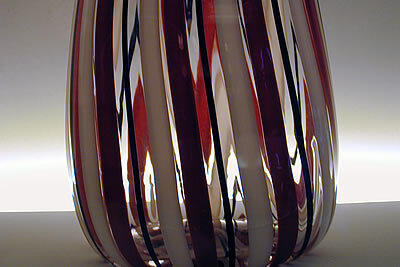 Murano is rich in history and much of it is to do with the glass industry. 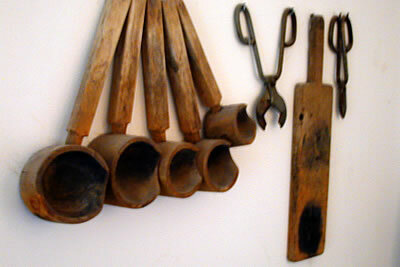 Find out how glassmaking came to the island, its ups and downs and some stories about the foundries over the centuries on our Murano history page. 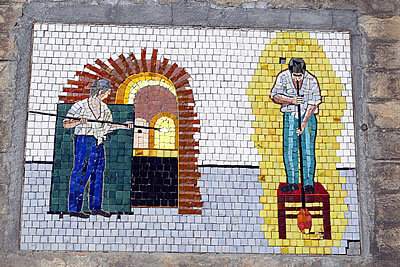 Many of the Murano foundries have historic links to the foundries and families listed in the Golden Book - others are newer masters of glassmaking. And, nowadays, there are some located in Venice itself, as well as foundries dedicated to special expertise of glass beads and lighting. Venetian glass has always had an attraction far outside its local appeal and, as in centuries past, there are distributors and importers who market the glass across the world. We have listed the importers and distributors in the USA, Canada, Europe and Australia for your convenience if you are looking for a more local source. Some of the technical terms used in Venetian glassmaking are based on historic Italian phrases. We do our best to untangle the linguistic problems in our glossary of Venetian glassmaking. © Venetian Glass Info. All Rights Reserved.